The text examines all the key issues related to the bodies that carry the interfaces, edges, or tips, whether these bodies are at rest or in motion with respect to an observer. In addition to its clear explanations, the text offers plenty of step-by-step examples to clarify complex theory and calculations. Moreover, readers are encouraged to fine-tune their skills and knowledge by solving the text's problem sets. Three fundamental, classical theories serve as the foundation for this text: distributions, confluence, and the special theory of relativity. The text sets forth the fundamentals of all three of these theories for readers who are not fully familiar with them. 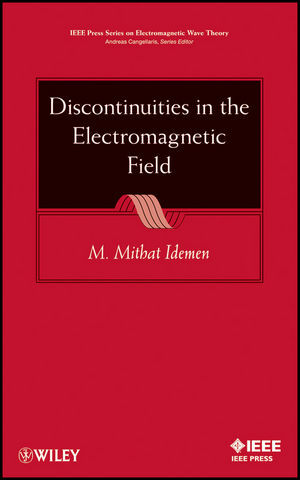 Moreover, the author demonstrates how to solve electromagnetic discontinuity problems by seamlessly combining all three theories into a single approach. With this text as their guide, readers can apply a unique philosophy and approach to the investigation and development of structures that have the potential to enhance the capabilities of electronics, antennas, microwaves, acoustics, medicine, and many more application areas. M. Mithat Idemen, PhD, is Professor in the Mathematics Department of Yeditepe University (Istanbul, Turkey) and honorary member of the Turkish Academy of Sciences (TüBA). He has served as editor and associate editor for various scientific journals, including the International Series of Monographs on Advanced Electromagnetics.